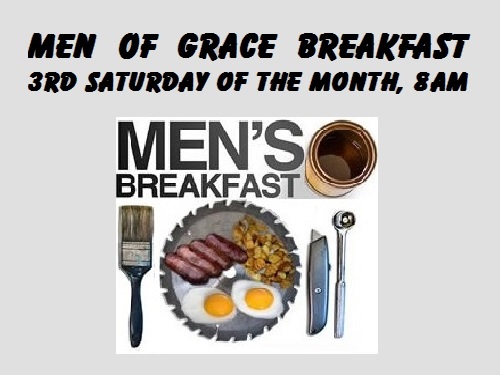 This is the monthly breakfast hosted by our Men’s Ministry, Men Of Grace. All men are welcome to attend. We cook a delicious home-cooked breakfast, and some months have a special devotion speaker, so come and enjoy the good food and fellowship. NOTE: Schedule is subject to change as this ministry sometimes does special projects and/or outings. We always post such updates on our Facebook page, so consider liking the page and keep up to day with all of our activities.